Manu'a Airways (www.manuaair.com) launches flights from Pago Pago to Ofu and Tau in 2016. There are more than 150km (93 miles) of paved roads and 200km (125 miles) of unpaved or secondary roads throughout the islands. Car hire is available through local and international companies. You usually have to be at least 21 years old to hire a car. There are plenty of taxis; government-fixed fares are displayed in all taxis. Colourfully painted buses connect villages on Tutuila, American Samoa's main island. All you need to do is wave your hand to flag down a passing bus. An International Driving Permit or valid national driving licence is accepted. Main port: Pago Pago (Tutuila). 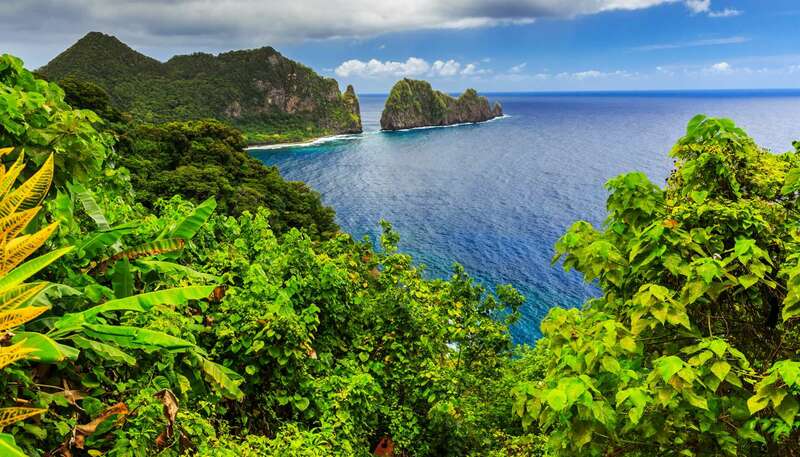 There is a bi-weekly ferry service from Pago Pago to the Manu'a Islands.